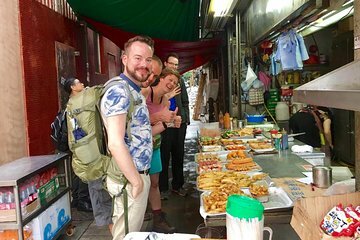 Taste your way through Hong Kong's most lively markets on this culinary walking tour with a small group. Learn about Hong Kong's food culture and history while exploring the markets, stopping at hidden food stalls to taste local delicacies along the way. Traveling with a small group ensures an intimate atmosphere and the ability to ask questions. We took this tour on our first day in Hong Kong and it was the perfect way to become immersed in the vibe of the City. Our guide Kennieness was expert in her ability to share the cultural and physical habits of Hong Kong everyday life. It's a busy walk with lots of visual stimulation and she knew the best places for food tasting as well. Highly recommended ! Great tour, tasted a selection of different foods which we would not have tried on our own. The guide was very knowledgeable provided excellent information and made the whole tour very enjoyable.